Takeaway: Boost the performance of your garden with the latest products available for modern growers. This time we are featuring innovative gardening solutions from Summit Research Tech, Remo Nutrients, Flo-N-Gro, Autopilot, Grower's Choice, and NovaGreen. These products are all #GoodtoGrow. The new Remo Nutrients 500ml Supercharged kit contains all you need to get growing with Remo, with two 500ml bottles of Micro, Grow, two of Bloom, AstroFlower, MagNifiCal, Nature’s Candy, and VeloKelp. The kit also includes a free Remo measuring cup, free grow room glasses, feed chart sticker, and Remo product information booklet. Remo Nutrients offer a complete system of vitamins, minerals, and extracts that your plants need to achieve their maximum growth potential. Using pharmaceutical grade ingredients, Remo Nutrients opens up your garden’s growth potential to the maximum degree. These kits are also available in the UK. Retailers can get theirs through Easy Grow. Introducing the Grower's Choice 4K double ended CMH bulb. The Grower’s Choice 4K CMH bulb runs in any double ended, high-frequency ballast, just dim it down to 600 watts. 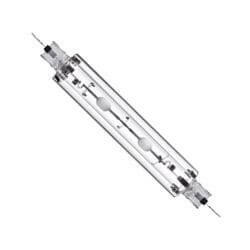 Now growers can enjoy all the benefits of costly CMH systems by simply switching out the bulb in their existing fixture. Thanks to our proprietary spectrum, the Grower’s Choice CMH 4K bulb offers an unbeatable CRI of 98, making it the closest solution to sunlight available on the market. The 4K bulb is a perfect veg bulb, offering thicker branches, tighter node spacing and bushier growth, which leads to higher yields. With this incredible new product, you get the efficiency of a DE system and the spectral quality of a CMH combined into one. Flo-N-Gro hydroponic growing systems continue to evolve as new features are developed, like the innovative bottom drain that is now included in all Flo-N-Gro buckets. A distinctive notch in the bottom of the bucket captures every bit of water which results in total drainage, eliminates standing water, and makes cleaning easier and more effective. The built-in bulkhead fitting in the bottom drain is ideally suited to Hydro Flow’s ½- or ¾-inch tub outlet fitting. 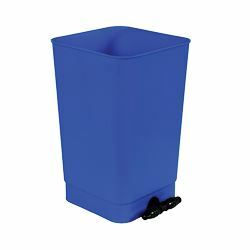 It easily screws in and requires only a single washer, for a leak-proof seal. This built-in tub outlet bulkhead is threaded in such a way that it allows the fittings to screw in and tighten, leaving the fitting in the optimum operating orientation. The bottom of the bucket has been elevated off the floor, which keeps the bucket clear of the floor and prevents the root zone water temperature from being affected by the floor temperature. 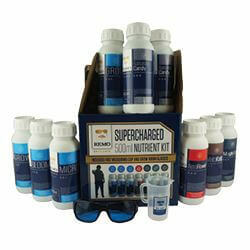 Retails can order these products through Sunlight Supply. Autopilot CO2 Generators provide and maintain the carbon dioxide levels needed to meet maximum growing potential, and cost very little to run. Safe and easy to operate, these highly reliable CO2 generators are equipped with a safety feature that shuts off the gas source if the unit tips over. 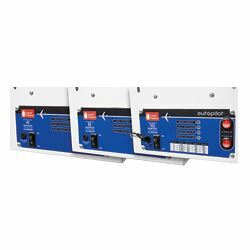 Autopilot CO2 Generators are available in both propane and natural gas models, along with high-altitude versions in three sizes: four-burner, eight-burner, and 10-burner. They feature a solid-state electronic ignition module, which eliminates the need for a pilot light. Are you a retail shop owner? Autopilot products are available to retailers exclusively through Hydrofarm. 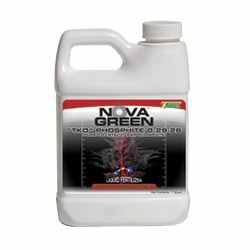 NovaGreen “TKO” PHOSPHITE 0-29-26 is the nutrient-packed knockout punch growers need in their arsenal. This solution stimulates growth, boosts plant immunity, and increases yield. TKO is a super water-soluble and highly concentrated phosphorous and potassium (P/K) solution that’s more effective than traditional granular fertilizers. Unlike other products that use phosphates, TKO uses smaller phosphites, which result in improved plant uptake capabilities and minimize product waste. TKO also quickly improves P/K imbalances and helps growers produce bigger, stronger and heavier flowers. TKO can be used in soil and soilless mixes, inside or outside, as a foliar spray, in hydroponics and constant feed systems. TKO safe for the environment and workers. Summit uses genuine Schott Glassware and all of their essential oil distillation labware is made in the USA. 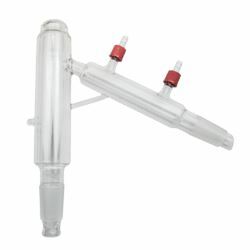 The custom packable head is a unique Summit product because they have pinpointed the issues with packable heads and increased the user experience by manufacturing a truly astounding top-of-the-line custom packable head. The main joint below the flask inlet area has been extended, and created a tight and compact plate using indents to hold back packing material. Using the Summit Research Raschig ring set you can pack with different results. The amazing performance of this packable spd-2 head is due to the location of the packing. It encounters a smooth temperature gradient with a factor of half the distance repeated by half its remaining distance stacked. Normally packed gradient is between one-quarter of the distance and reduces consistently through the path when packing the head from the traditional location mid section with an average loss of one to three degrees. Summit spplies a head to ensure the highest heat retention in the packable section allowed on a short path distillation setup like this. This is a game changer when it comes to packable heads.